How much would it cost to develop an On demand Boat/ Yacht Booking App like UberBOAT? Ride hailing giant “Uber” has changed the way we live and travel. Having launched Uber taxis back the, UberCOPTER came into the picture and now UberBOAT arises. Uber is prominently known for its resourceful and interactive on demand cab services. Global businesses are looking for every opportunity to go for having their own Uber like apps. In case you missed your cab, another option lying in front of you- an on demand boat booking application like UberBOAT. 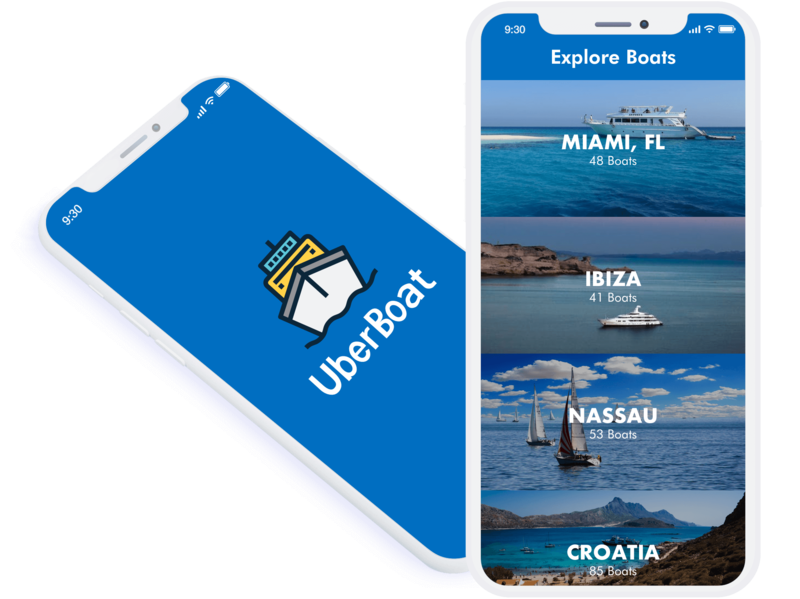 UberBOAT is on demand boating app developed exclusively to provide riding services to the visitors and residents in sea-based or river-based countries and territories- islands typically. The functionality remains the same though. By using on demand boating app like UberBOAT, customers can find a boat nearby and meet the Captain. Gruesome traffic congestions on roads causing delays at work for daily commuters. Finding an affordable, reliable and convenient boat on daily basis is no easy feat. Lack of comfort and luxury for commuters and visitors. Due to Urbanism, several countries and even more cities are experiencing a huge problem to be tackled, that is, traffic congestions on roads. Kudos to this brilliant concept of on demand boat hailing application known as UberBOAT, ride booking giant Uber has proposed a multi-modal platform with an organized transport system to better serve the commuters and visitors. UberBOAT finally has come to Mumbai (India) having already run operations in Istanbul, Miami (USA) , Croatia, Cannes (France), reports New York Times. Other than escaping traffic congestions, another advantage of having an on demand boating app like UberBOAT will provide luxury and comfort to the people living temporarily or permanently near waterside territories to have a whole new level experience for their rides. 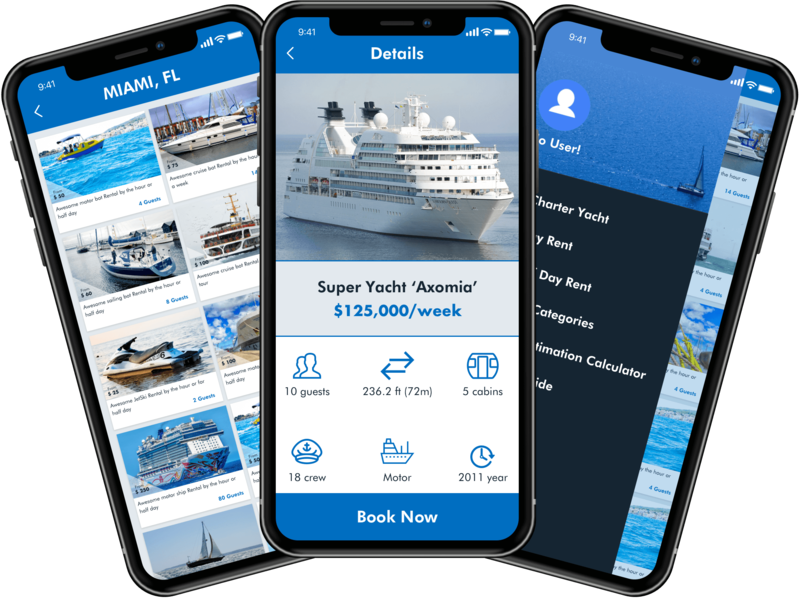 On demand boat/ yacht hailing app owners can implement ride-based revenue sharing model where the boat owners will pay a commission for every trip they make. 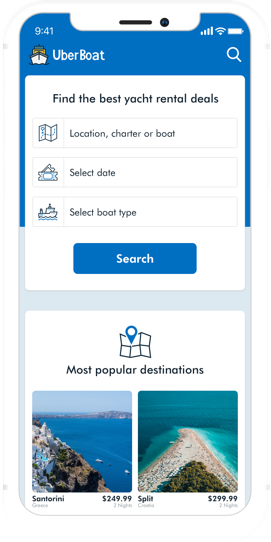 We can introduce paid subscription policy for users through which they can get discounts for every trip they make for commutation using the boating app for a predefined period. Revenue can be generated through 3rd party advertisements on boats or yachts where various businesses can offer and promote their products and services. Having a boat or yacht ride will indeed be a pleasant experience. To make the most, we can add infotainment and refreshments for the commuters at an extra cost. The concept of on demand boat/ yacht booking services is relatively new as only a few competitors are there in the market such as GetMyBoat, Hoba Rides and EZ Waves. Now lies the opportunity for startups to jump in the water while anchoring their way to success by having a custom developed on demand boat hailing app like UberBOAT. We, at Let’s Nurture, can certainly help you with your idea of having an on demand boating app like UberBOAT or Hoba Rides. With expertise for on demand marketplace app development for yacht rental booking and taxi booking businesses, we know exactly what to offer once we have initial consultation to know about your idea and expectations. An Uber like boat or yacht hailing services can mainly have following stakeholders. Admin App: For those who manage app operations. Boat Driver (Captain) App: For those who get orders and drop customers to destinations. Customer App: For those who uses app to hail a boat. Total Cost to develop an on demand Boat/ Yacht sharing app like UberBOAT will be in the region of $22000-$25000. Let us now have a look at the bifurcation of estimated cost along with basic features, followed by add on and innovative features. We implement and integrate AI-ML based predictive analysis using NLP which will simply help you understand behaviour and app usage patterns of your regular customer. Our predictive analytic solutions for on demand boating app will eventually help you in offering enhanced services with attractive offers and discounts if they do not turn up for some time. Predictive analysis also helps in projecting future marketing and operations based on the past and current data. Hire Chatbot developers who are experts in building conversational AI based bots which can be icing on the cake for your on demand yacht and boat booking services. Why? Because no matter how excellent your UI/ UX is, Chatbot speeds up the process in the world of On demand services with instant information resource for mobile app users. Chatbots help consumers to select boats, book rides and payments too. Our voice skill development services will innovate and upgrade your new and existing Uber like app to hail a boat with custom Alexa skills. Hire Alexa and Google Assistant skill developers for Alexa skill and Google Home Skill development and integration services to your mobile apps to speed up the process of on demand boat booking process. Why choose Let’s Nurture for On demand Yacht/ Boat booking Marketplace like UberBOAT? If you are providing a service regardless what service it is i.e. tutor, electrician, florist, driver etc., then you can have an custom on demand service based app/ website. Let’s Nurture team has unmatched experience in reviewing and analyzing business requirements for an on demand service marketplace for renting vehicles including boats and yachts. We can develop a great on demand boating app which can be white-labelled as per your requirement. Interested? Talk to our marketplace experts to develop On Demand Boating App like UberBOAT. Does the system only offer full boat rentals? Not necessarily, you can choose to launch a Boat pooling concept also. In addition, seat based ticketing system, to accommodate large vessels can also be incorporated. Do I have control over the fare charged and the revenue distribution? Yes, we provide a full featured Admin dashboard where you can manage all the parameters of fare calculation, and subsequent distribution between platform and boat owner. Can I sell merchandise and other paraphernalia in this app? Yes it is very simple to include an Add on MCommerce module into the app for users to order products. It can be stocked within the boat, and immediately delivered to the customer/rider upon ordering. What would be the cost of developing custom voice Alexa skills for my On demand boating application? The cost of custom Alexa skill development and integration to your on demand yacht/ boat booking marketplace platform will cost in the range of US$3000- US$5000 depending upon the number of features to be incorporated. You may like to read: Cost of developing Alexa Skills for taxi booking App like Uber. What type of support can I expect after my on demand yacht booking app goes live? We provide 90-120 days bug support post User Acceptance Testing for project of this scope. Have an !dea or need help to build On demand Boat/ Yacht Booking App like Uber Boat?